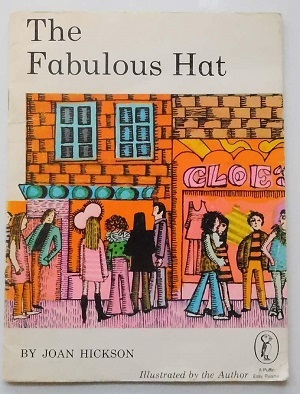 When I was a little I was obsessed with a small picture book called The Fabulous Hat by Joan Hickson. It’s out of print now of course and sells second-hand for about £20, but then it was a small 32 page pint-glass sized book illustrated with the most luscious psychedelic drawings. (It was published in 1970). 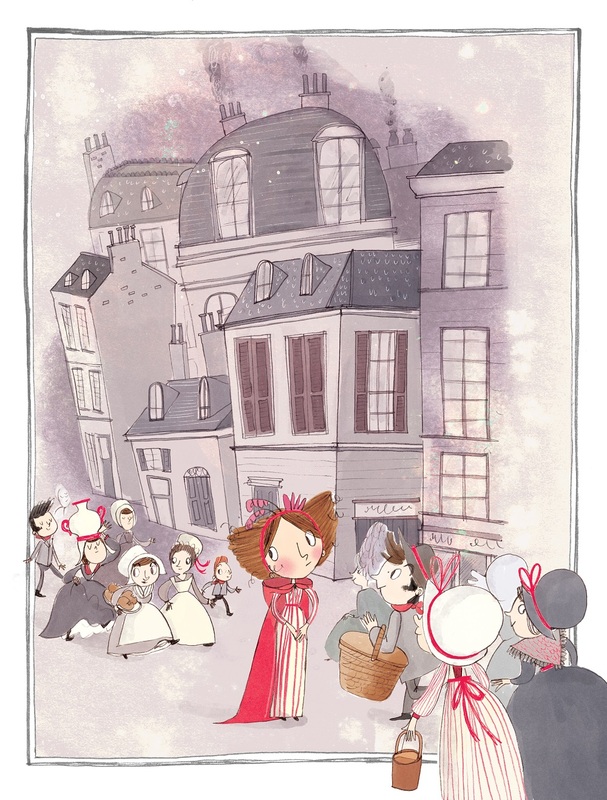 My fascination was not only with the dazzling bright pinks and oranges, but also with the fact that the main character, a small girl called Louisa, goes shopping with her cool older sister in an array of wonderful clothes shops but everything she tries on is too big, whilst her sister looks fabulous in everything and buys it all. Louisa gets fed up but finally finds a hat, which is indeed fabulous. And of course to my eyes now, the hat is far from ‘fabulous’ – it looks like a shower cap. 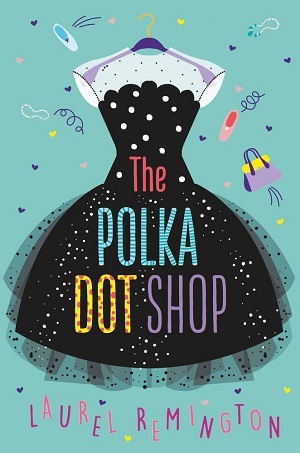 Fashion, and retro fashion, or vintage, is near the top of the agenda in Laurel Remington’s new book The Polka Dot Shop. But Remington brings it right up to date in this very modern tale about a girl living with her single, depressed mother, and trying to make the right choices – in friendships, fashion and finally business. Andy’s mother runs a kooky boutique selling vintage clothes, but unfortunately it’s not doing very well. Meanwhile, her school decides to revert to a non-uniform policy, and what everyone wears to school becomes super important. (And every mother’s worst nightmare I should imagine). Andy’s wardrobe is full of her mum’s shop cast-offs – pre-owned clothes and accessories, and none of it passes the fashion police test. She longs to buy brand new high street clothes. 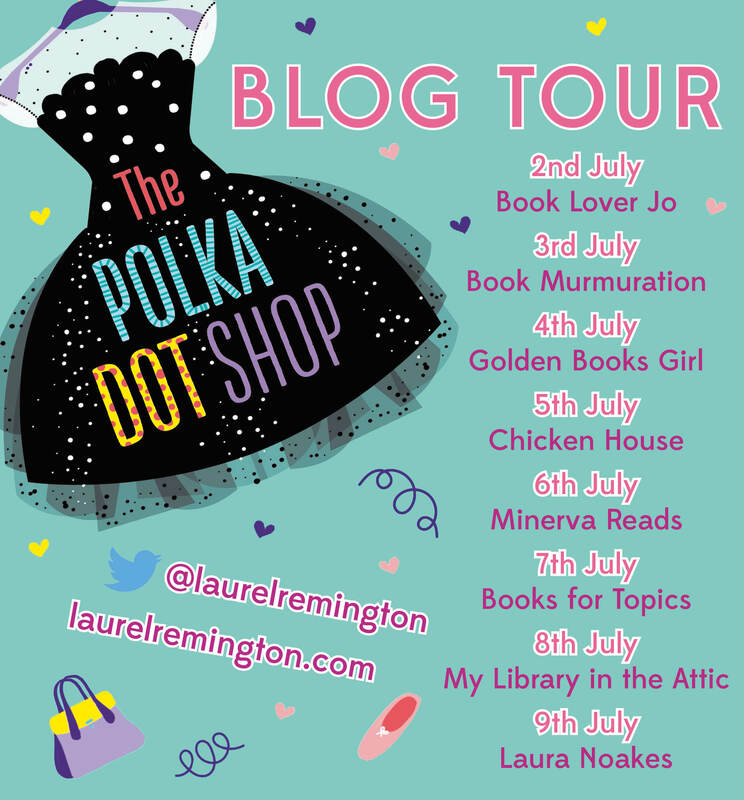 Then Andy finds a bag of designer goodies in the shop, and everything changes – just not quite in the way she expects. Not only is this a heart-warming tale of friendship and first romance, written in an easy-going contemporary style, but if the reader digs deep, they’ll find a story that resonates deeply with modern life. The throwaway culture of our modern clothes obsession – buying cheap and disposable clothing, the disintegration of neighbourly awareness and community that goes hand-in-hand with the demise of our local high streets, and a creeping proliferation of mental ill-health. That’s not to say this is a depressing novel – not in the slightest. In fact, the text and content is bouncy and full of warmth; with zest for life and hope for the future. Remington shows that the relationship between the generations is key for future prosperity – (not monetary) but finding fulfillment. When Andy and her friends reach out and learn from the histories of the older generation – particularly the man who runs the fish and chips shop next door – and when Andy reaches out to understand her own mother, then things fall into place, and Andy and her friends can hatch a plan for the future that benefits all. What’s also magical is that Andy makes plenty of mistakes. She learns to fail and by failing, learns to succeed. It’s good to find this message in a book for this age group. By connecting to the past and learning from it, Andy finds a new future for herself and her mother. And it’s the cast of characters around her that helps too – Andy finds it hard to make friends, and when she does, they each have their own challenges but create a support network and camaraderie to help each other through. When Andy meets her ‘boy next-door’, and they communicate properly, they are able to finish the project they started in winning style. This is a fabulous book that doesn’t need psychedelic illustrations to bring it to life. It’s bursting with life and energy already, and would look good on any catwalk. I have a signed copy of this book to giveaway. Just find me on twitter @minervamoan and RT my tweet about the book. Or you can buy it here. 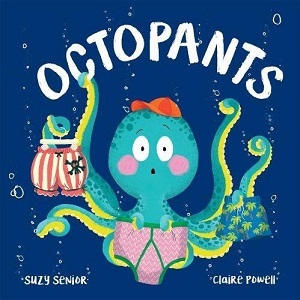 Sticking with clothes, but for younger readers is Octopants by Suzy Senior, illustrated by Claire Powell. 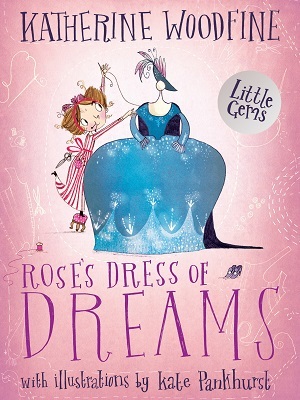 This cheeky little picture book is published on 12th July, and in rhyming verse encompasses all my woes of looking for the perfect pair of jeans. Octopus is looking for the perfect pair of pants. He’s laughed out of town by the shop sellers who explain that he has too many legs, and has no luck surfing the net either. Then the octopus discovers the Undersea Emporium, staffed by a seahorse, and filled with clothes (even with pockets) for all types of sea creatures. They still don’t stock octopants, but a little twist in the tale means that the octopus goes away happy. Cartoon fish are probably every illustrator’s dream, in that there are so many colours, shapes and sizes to play with. Here, Powell has had great fun playing on words such as ‘surfing the net’ with her underwater scenes. All the illustrations are bright and endearing and bursting with colour and movement, and she’s managed to bestow a full range of emotions on the sea creatures, at which younger children will delight. It’s often the small touches that turn a picture book from something ordinary into the extraordinarily popular, and the team behind this one have put in all sorts of fun jokes for both adults and children. Look out for the sign outside the changing room, the queues, even the title of the undersea newspaper. Just as Aliens in Underpants and The Queen’s Knickers remain firm favourites in the library and at home, I have a feeling that Octopants is going to continue the underwear success. It’s anything but pants. You can buy your own pair of octopants here.